Published 9th February 2019 at 467 × 500 in Cats Looking For Homes. 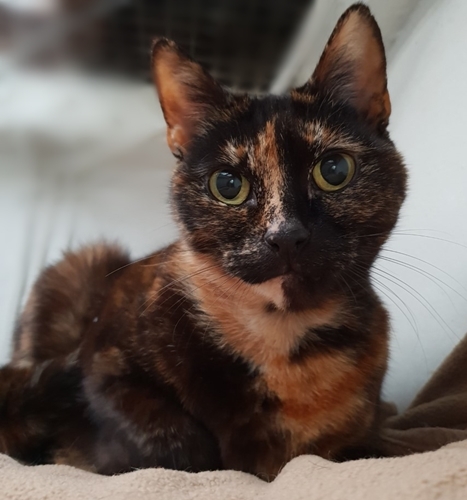 ‘Jenny’ 6 year old Female Torti DSH. Jenny came into us as her owner sadly passed away. She is quite a nervous cat but is coming round. She would suit a quiet home without very young children. Was rehomed but has come back to us as she wasn’t getting along with the owners other cat.